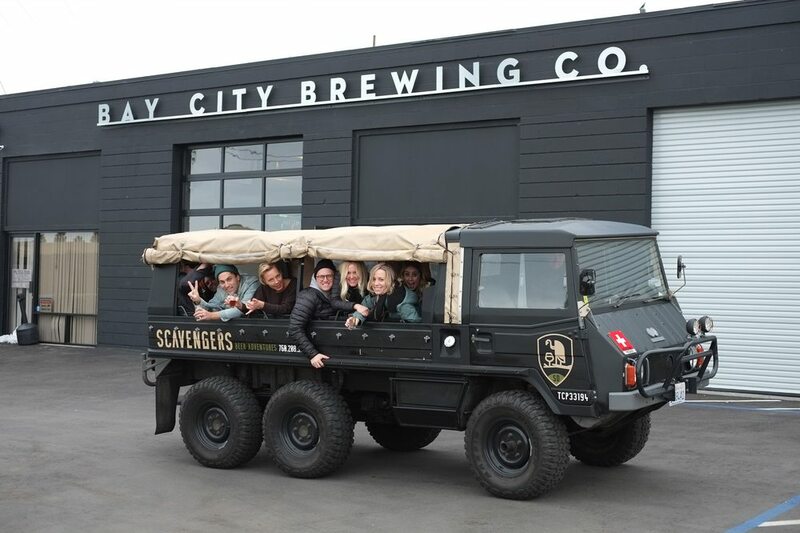 San Diego Brewery Tours – 6 Wheel Safari Beer Tours | Scavengers – Scavengers Bewery Tours in the San Diego & Carlsbad area. 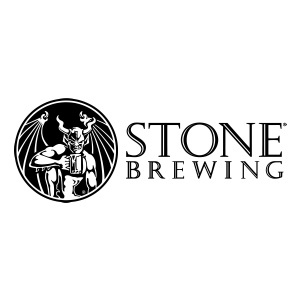 Named one of America's Most Unique Beer Tours by Forbes Travel. Public & Private Tours available. Join up with other beer lovers on our public tours. 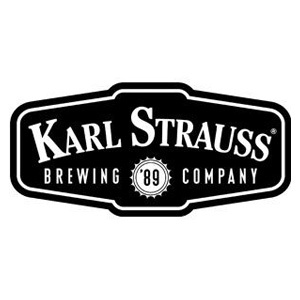 Expand your beer knowledge and sample new styles! events; you won't stop smiling and laughing." 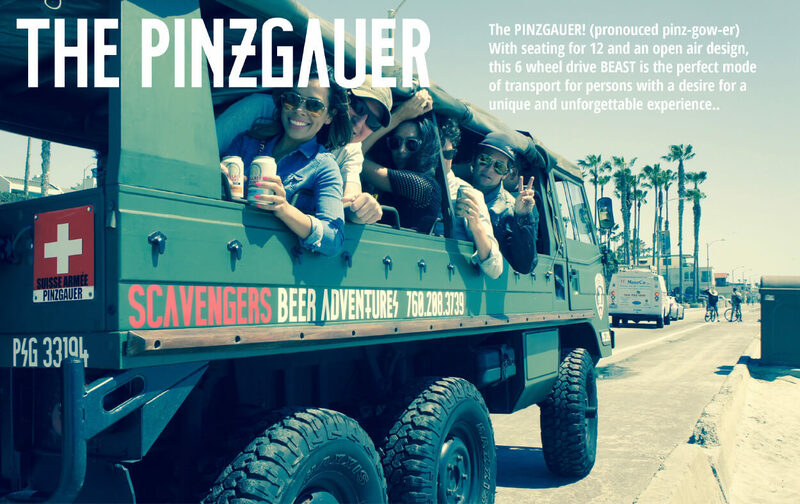 - Inessa P.
Named one of America's most unique beer tours by Forbes Travel, we've combined San Diego's infamous craft beer scene & world renowned coastline into an all-inclusive beer adventure. Our Vintage Swiss Safari Vehicles are built for an ultimate beer exploration. Drink ice cold road beers in style from one brewery to the next. With 6 rugged wheels, seating for 12, and open air design, these vehicles are sure to make everyone else on the road wishing they were you. 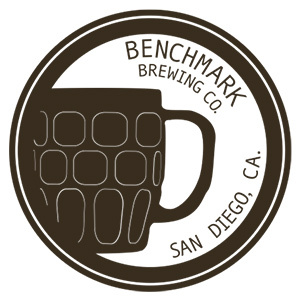 No matter what your beer preference is, San Diego's bustling beer scene offers an assortment of incredible IPA's, Ales, Lagers, Porters, and Stouts... We'll find you whatever your heart desires. Treat yourself to an unforgettable experience. Whether it's family, friends, work buddies, or even just complete strangers, remember... no one does a beer tour like Scavengers! 6 Wheel Swiss Safari transportation to 3 craft breweries in the North County area. 6 Wheel Swiss Safari transportation on the beer or cocktail tour of your choice.